We’ve all seen those huge mega-ships docked in port and some ports can be pretty small. 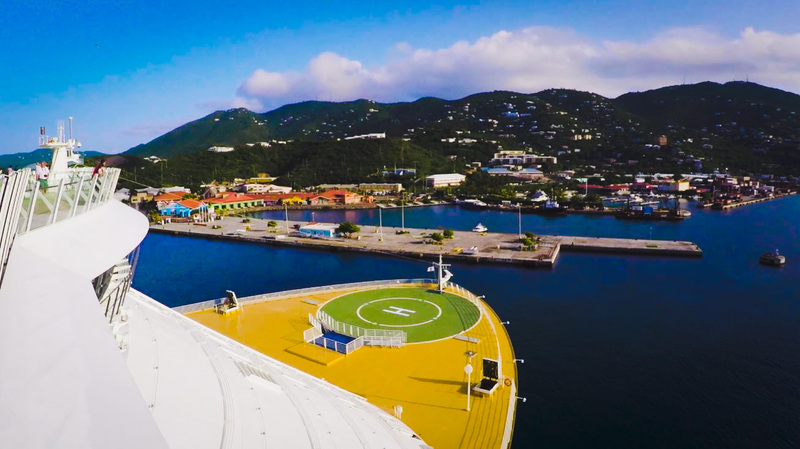 Royal Caribbean shows us how it’s really done with Oasis of the Seas, one of the world’s largest cruise ships with an arrival into St. Thomas, U.S. Virgin Islands. In a new video released by Royal Caribbean, we get to see behind the scenes into how a large cruise ship navigates a narrow port. In this case, Oasis of the Seas is entering the stunning cruise destination of St. Thomas in the U.S. Virgin Islands. The video shows what really goes on in getting the ship to the dock and the important procedures which are done including guidance from the port pilot. Cruise passengers will never realize just how difficult it can be and how close to shallow waters the ship is. Oasis of the Seas is the original ship in its class and is 225,282 gross tons and 1,187 feet long. We must say a great job to Captain Per Kristoffersen for making sure the vessel docks safely so thousands of guests can enjoy their day in port. This doesn’t just go for St. Thomas but all ports of calls. The ship sails week-long Eastern and Western Caribbean cruises out of Port Canaveral, Florida. Right now the ship is sailing an eastern itinerary including calls in St. Maarten, Puerto Rico and Labadee. Oasis of the Seas will arrive back at its homeport on August 19.